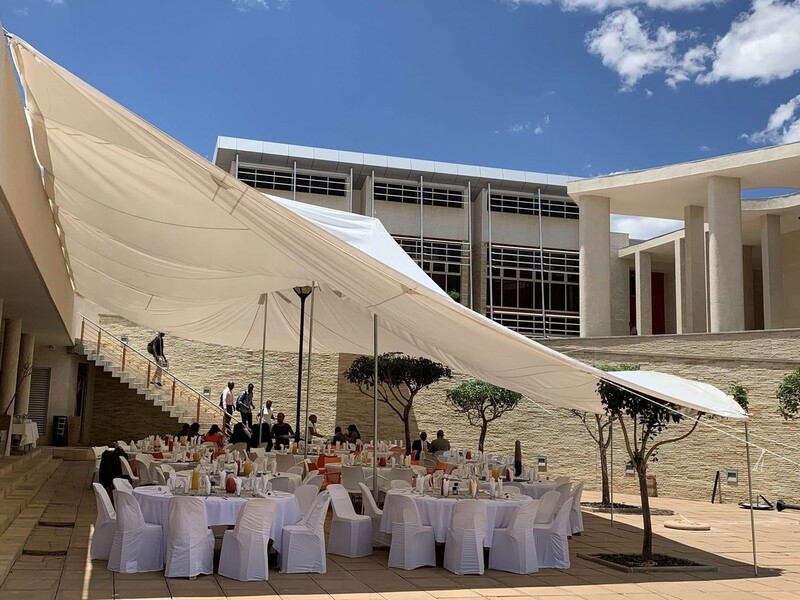 PyCon Namibia 2019 was held at NIPAM in Windhoek from 19th-21st February. 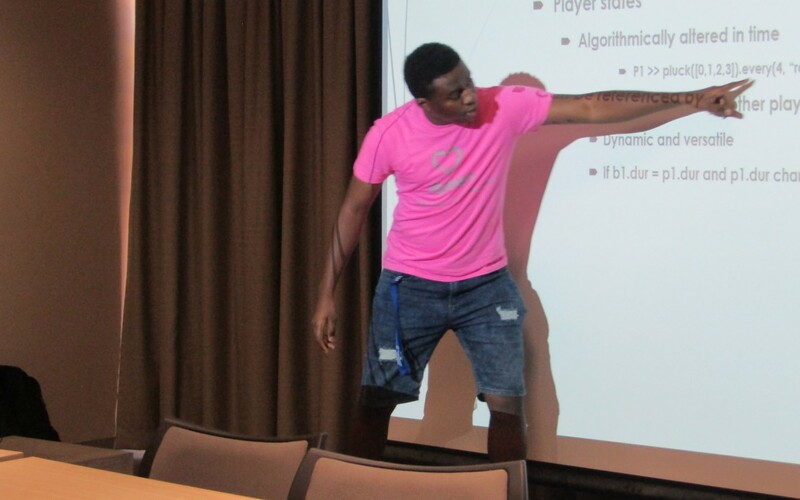 The fifth edition of Namibia's annual PyCon continued the efforts made in previous years, to develop the software skills of Namibian programmers and help new programmers discover Python. 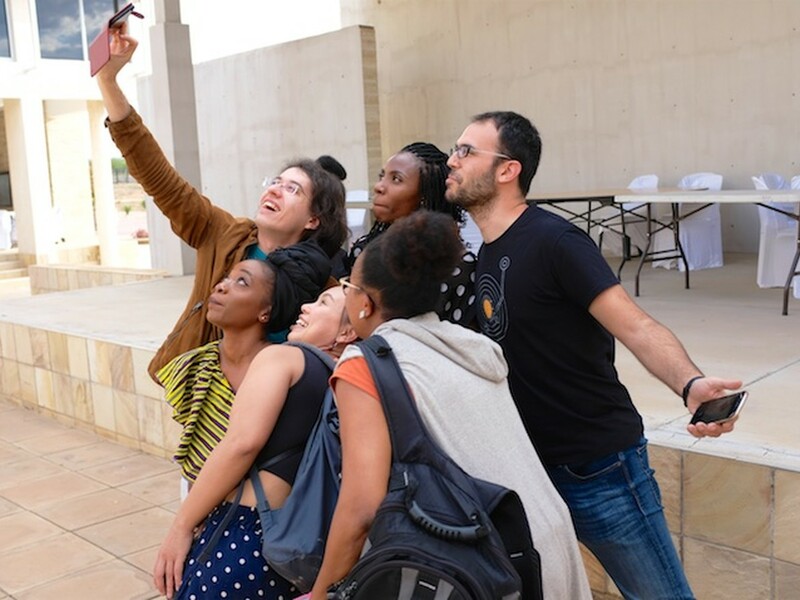 As usual, PyCon Namibia was attended by visitors from countries across Africa and beyond. 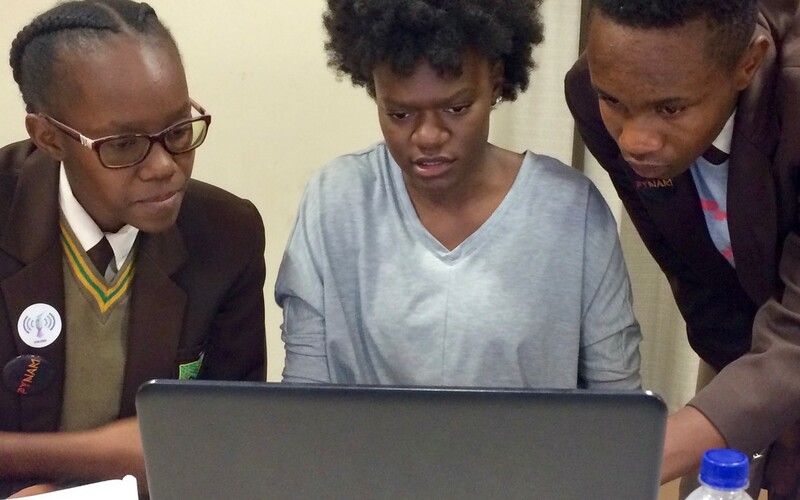 This year, PyCon Namibia's focus turned to business and industry. 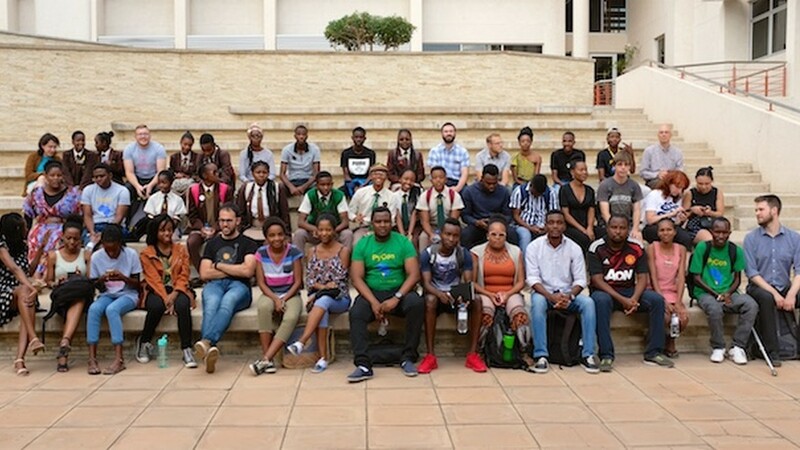 Each PyCon Namibia has built on the previous year's efforts (you can also read about what we achieved in 2018). 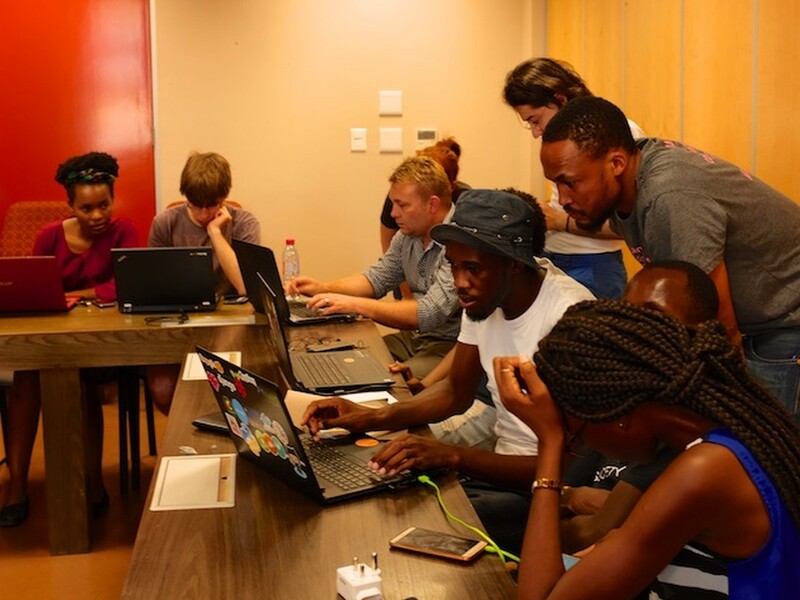 Previous years have successfully furthered the development of the Namibian Python programming community, and have helped push Python into school and higher education curricula. 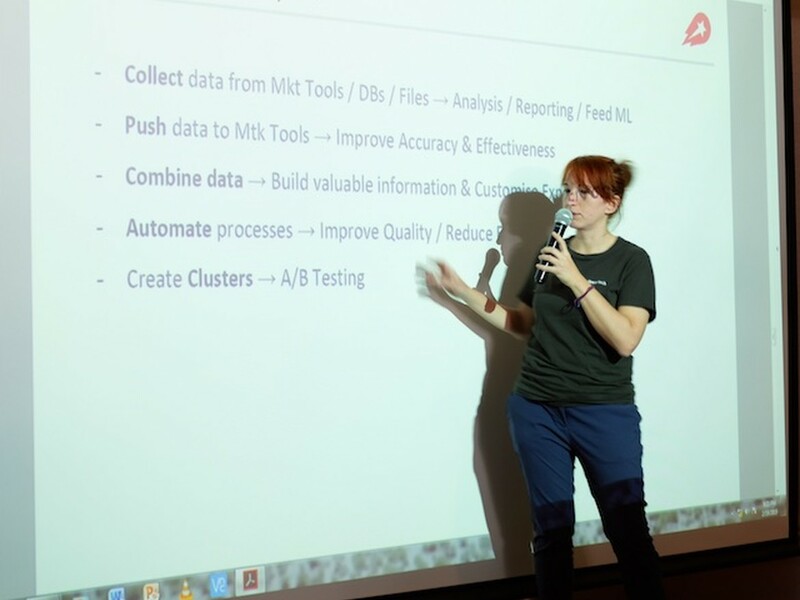 This year, our aim was to introduce a stronger business focus to the conference, with talks and workshops on topics such as data science, ecommerce, and finance. Once again the PyNam Scholars demonstrated that the skills they learn are quickly shared with new users and spread in the local community. 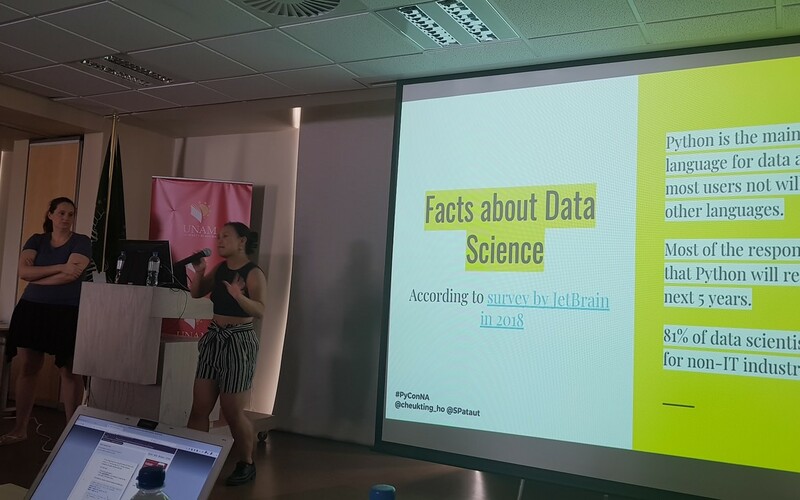 Our talks and workshops on data science and analysis with Python proved to be extremely popular, and indicate a field where Python skills in Namibia will be in high demand in industry. 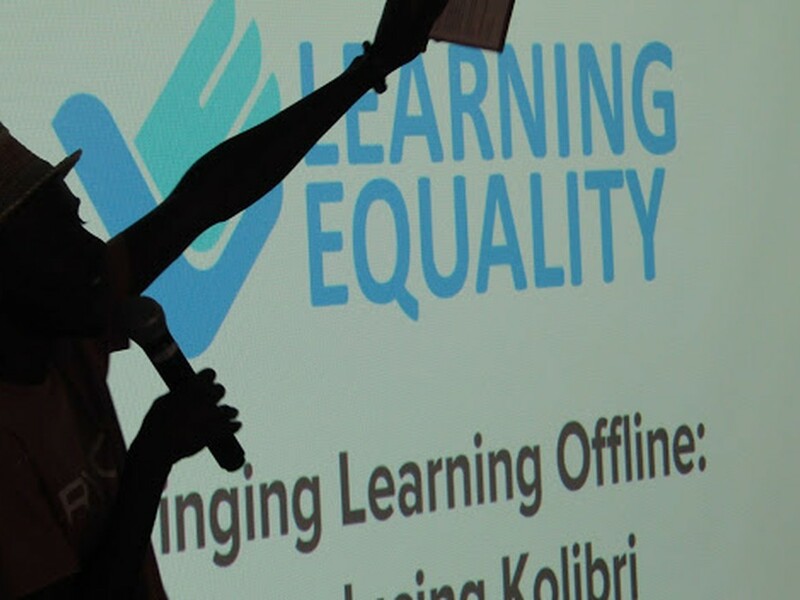 Namibian speakers who have been involved in the conference since its inception demonstrated how local skills in programming and presentation have developed dramatically. 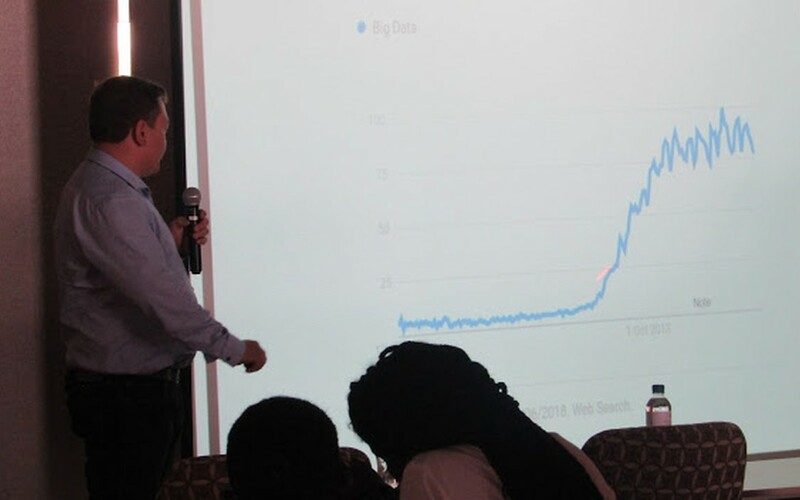 New work was introduced at the event; here, academic research applying data management and auditing techniques to business applications. 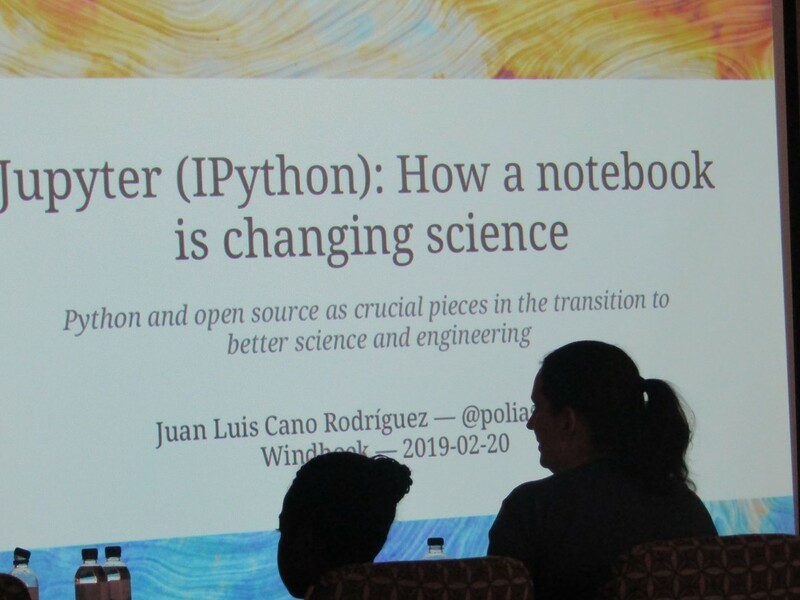 Both absolute newcomers to programming and highly experienced software professionals come to PyCon Namibia, and our talks and workshops reflected this. We held a packed programme of sessions over three days. 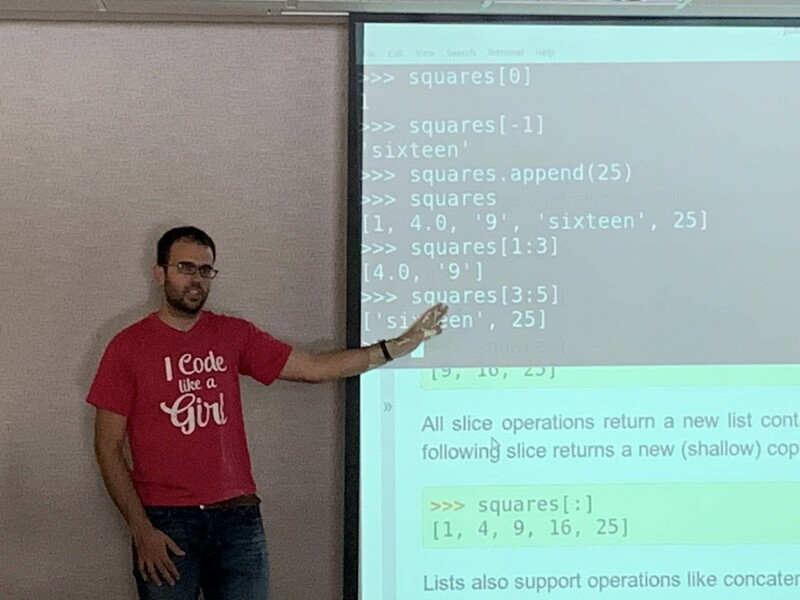 PyCon Namibia once again received contributions in financial sponsorship and other support from organisations, as well as private donations from individuals, across the world. We are enormously grateful to all of our supporters.